Before you call for an emergency Furnace Repair. Here are a few things you can check. 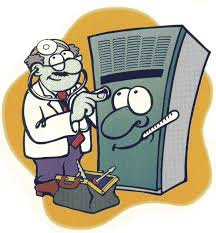 If you still need a Heating Contractor for Furnace Repair in Cedarburg Wi. Feel free to call Horsch & Miller. We are available 24 hours a day. Clean and level your thermostat. For older thermostats this ensures proper function since many of them have liquid mercury switches. And always, this is more eye pleasing.